Festivals in Norfolk Island abound and one of the most fun is the Line Dancing Festival, which professional Line Dancing instructors lead on an annual basis every March. The Line Dancing Festival in Norfolk Island is probably one of the best line dancing festivals out there to date and a lot of people talk about it, particularly in New Zealand and Australia, because of their great choices of instructors every year. Kate Simpkin is one of these instructors and she has led the Festival for a few years in a row now. Kate Simpkin happens to be the instructor of the Southern Cross Line Dancers and won the Australian Line Dance Teacher of the Year award in 2013, while being nominated for Personality of the Year 2014. It really is no wonder why she has won these awards, though. With her enthusiasm and energy, it is hard not to fall in love with line dancing, in general, whenever she instructs. This makes her the perfect choice for the festival. The organizers of this Line Dancing festival always guarantee at least five lessons of line dancing with an instructor of choice for the year. Aside from that, they also have three social nights in line for participants, which include a party night, a creative costume night and a Hawaiian themed night. 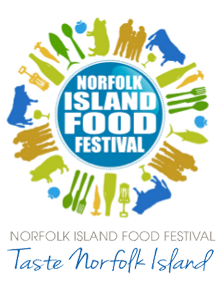 To start off the festival, a welcome barbecue is provided for the participants and to end it, a farewell dinner is also provided in true Norfolk Island style complete with dancing and entertainment for all. The instructors for the year may also add other fun activities to the roster, such as flash mobs for line dancing that will keep the participants on their toes and in high spirits. Every year, Norfolk Island’s Line Dancing Festival never fails to provide a week of fun and entertainment while people dance and socialize at the same time. So far, the organizers of the festival are very happy with the positive responses that they have been receiving for the Line Dancing Festival, so it is most probably here to stay. Of course, it isn’t all about energy though. Participants will also be able to relax and catch their breath while exploring the rest of the island between each activity. The best part is that Norfolk Island has a ton of different activities on offer to suit any type of personality. Generally speaking, the island is both gorgeous and charming, and visitors are sure to fall in love with it the minute that they arrive. Whether you have never tried line dancing before, are merely intrigued by what it is or have been doing line dancing for years, you are sure to enjoy Norfolk Island’s Line Dancing Festival. Not only will you be able to enjoy the festival with your line dancing shoes on, but you will also be able to socialize, meet new people, make new friends and have the time of your life on the island.